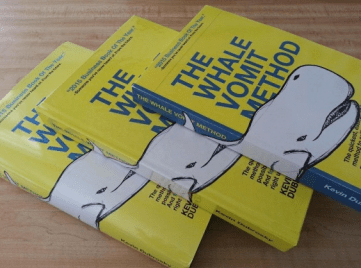 Kevin Dubrosky's 'The Whale Vomit Method' book competition. Can you write a 500-600 word marketing article for WCM? The only criterion is that it has to be about marketing and that it is your own work, between 500-600 words. The winning entry will receive a paperback copy of Kevin’s book. The winner’s piece will be published in the January 2014 issue of Window Cleaning Magazine. If you just can’t wait, you can order Kevin’s book by clicking the link below for the website for more information.